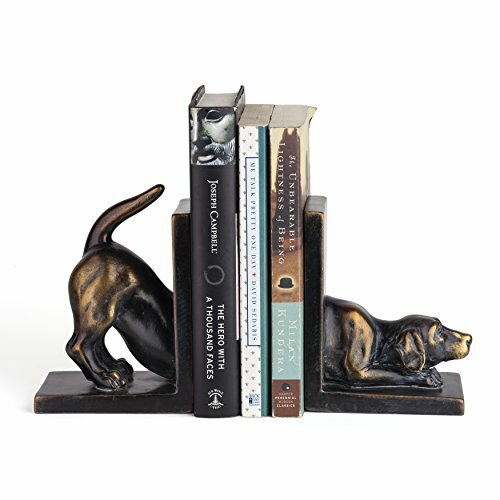 This creative Danya B. Labrador Dog Bookend Set is perfect for animal and book lovers alike! The Resin figure with antique bronze patina finish is as cute and unique as it is sophisticated. Keep your books organized and beautifully on display in any corner of the home. The Danya B. Labrador Bookend Set also doubles as the perfect, conversation starting gift for your family and friends. Perfect for animal and book lovers alike! Keep your books organized and beautifully on display. Great gift for the dog and book lover.